Ten more quiz questions relating to the Manchester, UK, band The Stone Roses. What was the name of the drummer who replaced Reni in the band from 1995-1996? 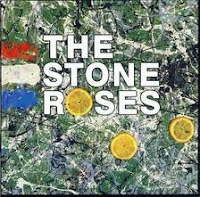 In which year was controversial Roses compilation Turn Into Stone released? In which month of 1996 did the Roses decide to call it a day? Name the TV programme which famously suffered a power cut during a performance by the band. In which English town did the band play their warm-up reunion concert in 2012? What was the title of the Roses album recorded in 1985, which wasn't released until November 1996 after the band had split? What was the highest ever position achieved by the band in the UK singles chart? And which single did they score that chart position with? What was the name of the band John Squire formed after leaving The Stone Roses? Which guitarist played with the Roses instead of Squire at the 1996 Reading Festival?